When you enroll with QC Makeup Academy, you become a member of an international makeup community. QC knows that makeup products are expensive, especially for the pros! That’s why QC works every day to partner up with top makeup vendors and suppliers around the world, to get you the very best deals on your favorite makeup brands! QC Makeup Academy is a MAC Pro Eligible School! Students in the Makeup Artistry, Master Makeup Artistry, and Special FX Makeup courses are eligible to apply for the MAC Pro Student Membership, where they will receive a discount on MAC products, in-store and online! MAC Pro Student Membership information is available to eligible students in the online student center. Below you’ll find a list of QC’s preferred partners who offer special discounts to QC makeup students and graduates. In most cases, these offers are available to you as soon as you enroll! QC has preferred partners in the United States, Australia, the United Kingdom, and Canada. Most companies ship internationally too! 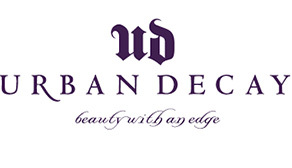 Urban Decay’s products represent beauty with an edge and are 100% cruelty-free. Choose from a wide range of top-selling products including popular eye shadow palettes, lipsticks, foundations and more. QC Makeup Academy is an Urban Decay Pro approved school which means that both students and graduates can apply for UD Pro membership and receive a 40% discount on most Urban Decay products. This discount is currently only available for US residents. Founded in 1990, Smashbox Cosmetics has grown into an internationally-recognized brand known for “empowering women everywhere to be their most kickass beautiful selves”. Smashbox carries a versatile range of cosmetics products that are 100% cruelty-free, and are designed to look beautiful, and feel good. QC Makeup Academy’s students and graduates are eligible to apply for Smashbox Cosmetics’ Pro Artist Program. As a Pro Student, you will receive a 20% discount on all Smashbox products. As a Pro Freelancer, you will receive a 30% discount on all Smashbox products. Click here to apply. This discount is currently only available to residents in US and Canada. Kevyn Aucoin Beauty is a luxury makeup brand that offers a wide collection of makeup products and tools. Kevyn Aucoin’s original formulas are made with the finest ingredients, which sets the standard for all of the products they offer to date. Their cosmetic products are all latex free and can be used on any skin type. QC Makeup Academy graduates in the US are eligible to apply for Kevyn Aucoin’s PRO artistry program. As a PRO member, you will receive a 40% discount on all Kevyn Aucoin products. To apply, visit here. This discount is currently only available for US residents. For over 35 years, TEMPTU has worked with a network of makeup artists to revolutionize airbrush and create cutting-edge, high-quality formulas to fuel the passion, creativity and artistry of professionals. At TEMPTU, great things happen when artistry, technology & beauty meet. QC Makeup Academy students receive a 15% industry level discount. QC graduates can apply for a 30% artisan discount! Three Custom Color Specialists is a New York-based cosmetics company. They are one of the top choices for professional makeup artists around the world and have appeared in countless style and beauty publications. This unique company prides itself on the ability to recreate nearly any type and shade of makeup with their Custom Blending services. Dedicated to developing cosmetics that exceed expectations, Mehron’s experienced team of chemists work in collaboration with renowned industry artists to create products that look amazing, feel fabulous, set trends, and perform under the most intense conditions. Proudly made in the USA with the highest quality ingredients, Mehron represents an artisanal approach to creating high-impact, versatile cosmetics. Mehron’s beauty products can be found in the makeup kits of artists at fashion shows, photo shoots, theatrical productions, movies, and most importantly, in real life on real women. QC Makeup Academy students in the US will receive a 10% discount. Cozzette was founded by a professional makeup artist who chose to initiate the evolution of cosmetics to allow us to look and feel our best. Cozzette is a cruelty-free and vegan brand, devoting their energy to the development of beauty products that honor all living things. QC Makeup students are entitled to a one-time 20% off discount. Graduates of QC can apply for the Cozzette Professional discount where they will receive a 30% discount. Students and graduates who would like to apply for this offer can contact the school for documentation to send onto Cozzette. Frends Beauty carries several hundred brands and stock nearly 50,000 products in beauty, hair, skincare, and special effects. QC Makeup Academy students and graduates can access fantastic discounts by going to www.frendswithbenefits.com. Discounts range between 10% and 40% depending on the brand and sometimes individual products within a brand. Stage Makeup Online is the largest supplier of theatrical makeup in the United States. They supply well-known brands such as Ben Nye, Graftobian, Magicake and more. These products are perfect for makeup students who want to make the most out of QC’s Special FX Makeup Course! QC Makeup Students and Graduates receive a 5% discount on products sold by Stage Makeup Online. EBA Performance Makeup carries a wide range of products including special effects makeup, face and body painting products, fashion makeup and even airbrush tattoo products! Check out their website to see the amazing results their products can achieve! QC makeup students and graduates receive a 20% discount on all EBA products. Williamspro Makeup & Hair is owned by QC Makeup Academy tutor, Azzi Williams. Based in Australia and shipping internationally, Williamspro offers a range of premium professional HD quality products that are 100% natural, vegan, and cruelty-free. QC Makeup students receive a 20% discount off all products. The Makeup Foundation, Located in Brisbane Australia, sells well-known professional beauty supplies as well as their own professional makeup range, LimeLily Cosmetics. Students of QC Makeup Academy receive a 10% discount as soon as they’re enrolled. QC graduates are able to upgrade to a 55% wholesale discount! ScreenFace is a London-based special effects makeup supplier carrying everything from prosthetic appliances to SFX grade makeup to bald caps. QC Makeup students and graduates receive a 10% discount from Screenface. Simply email them your proof of enrollment before placing your order! Face Atelier provides a sophisticated and versatile range of makeup products that work, and work simply. All cosmetic products are fragrance and flavor-free, and use only essential ingredients that have a specific purpose. Regularly appearing in the world’s most prominent beauty and fashion magazines (such as People, Marie Claire, InStyle, Elle, and many others), Face Atelier is an international leader in professional makeup. QC Makeup students and graduates receive a 30% discount off all products from Face Atelier. Simply email them a copy of your QC enrollment information! Kind of Magic offers a wide range of makeup brands for SFX makeup including Wolfe Face Art, Ben Nye, Kryolan, Graftobian, Sanzaroo, Cinema Secrets, Garland and more. QC Makeup students and graduates receive a 10% discount. It’s easy! Simply enroll online and you’ll get access to all the student discounts listed above! You’ll find more information in your online student center on how to take advantage of these amazing offers!